A bundle of smooth muscle cells, forming the arrector pili muscle, is attached to each hair follicle. 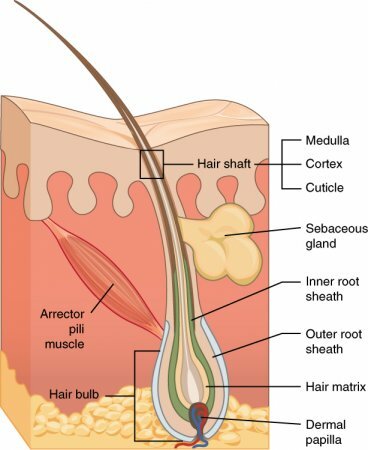 This muscle is positioned so that the hair within the follicle stands on end when the muscle contracts. If a person is emotionally upset or very cold, nerve impulses may stimulate the arrector pili muscles to contract, causing gooseflesh (or goose bumps). 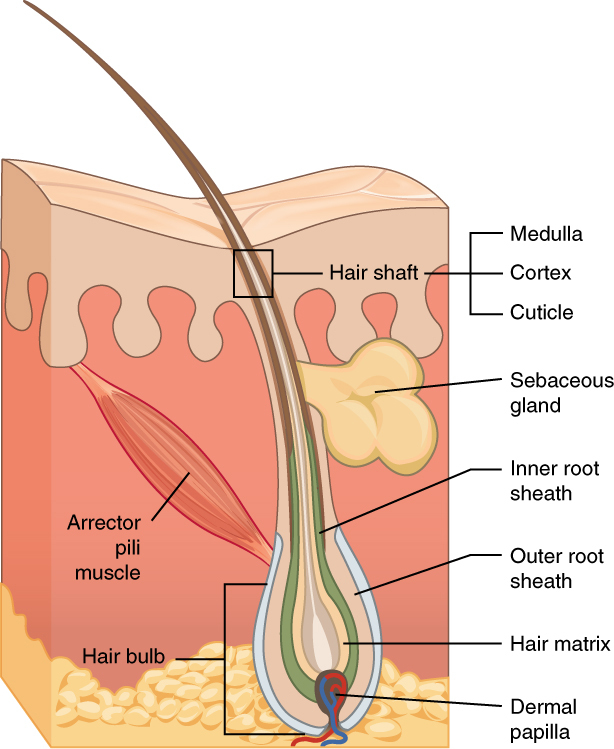 Each hair follicle is also associated with one or more sebaceous glands.